"We were impressed with the service and the ease of buying, from writing the contract, to obtaining financing, to receiving tax and legal advice from local professionals." Featuring apartment style homes nearly 900 square feet, 2 bedrooms, 2 bathrooms, spacious living with an open concept kitchen and dining space, these homes are the ownership lifestyle and real estate investment property at Fernie Alpine Resort! The land title of the property is co-owned by four individuals. You have your own sub title that be resold, typically through the services of a real estate broker. Low monthly fees of approximately $317 per month (per fraction) includes all utilities, condonium fees and property taxes. Purchase 2 fractions in 637 or 1/2 a unit and your investment is just is $148,000 - a deal when new full ownership is $300,000! When not using your property, the condominium is rented and generates income for you. The condominium has a unique design; there is one-bedroom, a hotel or lodge room and is a two-bedroom unit. Juniper Lodge, part of the Timberline Lodges development, offers every amenity - swimming pool, hot tubs, fitness room, biking, wellness spa and skiing only steps away - at an affordable and reasonable price. 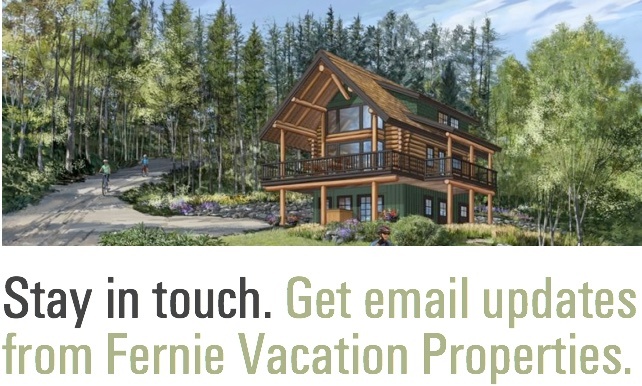 For increased flexibility, Timberline Lodges is affiliated with the Interval International vacation exchange program. The program allows freedom to own and to travel to new destinations around the world. Featured property - 1/4 share 3 bedroom, 3 bathroom 1,055 sq. ft for just $75,900! The perfect ownership and income property with low HOA (Home Owner Association) fees of approximately $317 per month (per fraction). All utilities, property taxes are included.